New Release of Noise Experimental Compilation Argentina Maquinaria Vol 5 – Chain D.L.K. 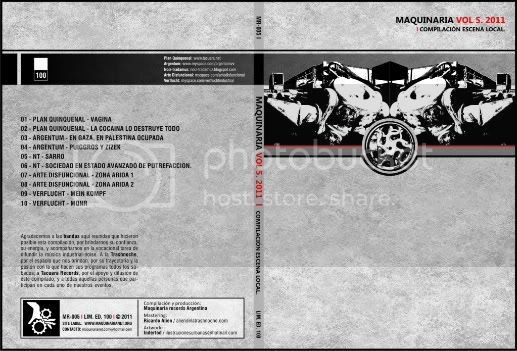 Like every year, Maquinaria Records Argentina presents his new album: Maquinaria Volume 5, 2011, build local scene. drawings that exploit the resources of experimentation, in this great creative world, rustic and dynamic as is the industrial-noise genre.